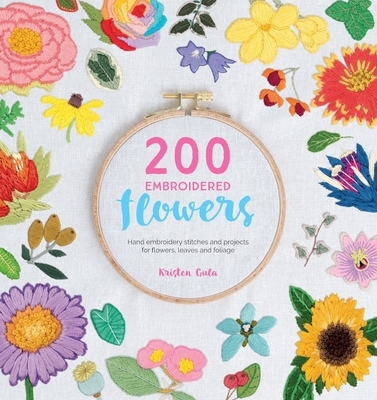 As well as the step tutorials for the flowers and leaves, there are 10 projects for home decor items and accessories that showcase the embroidery so you can show off your makes and create beautiful gifts for family and friends. Choose from a collar motif, pillow cover, table decoration, shoe embellishments and many more. Kristen Gula is a self-taught fibre artist specializing in hand embroidery. She set up her own company, Gulush Threads in 2013, which is home to her unique, custom hand embroidery wall art and jewellery. She is an instructor on Brit+Co's online learning platform. This is her first book.